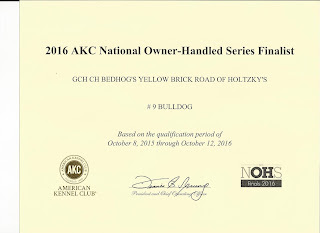 BedHog Bulldogs: Proud to announce that Brick finished # 9 NOHS 2016. Proud to announce that Brick finished # 9 NOHS 2016. 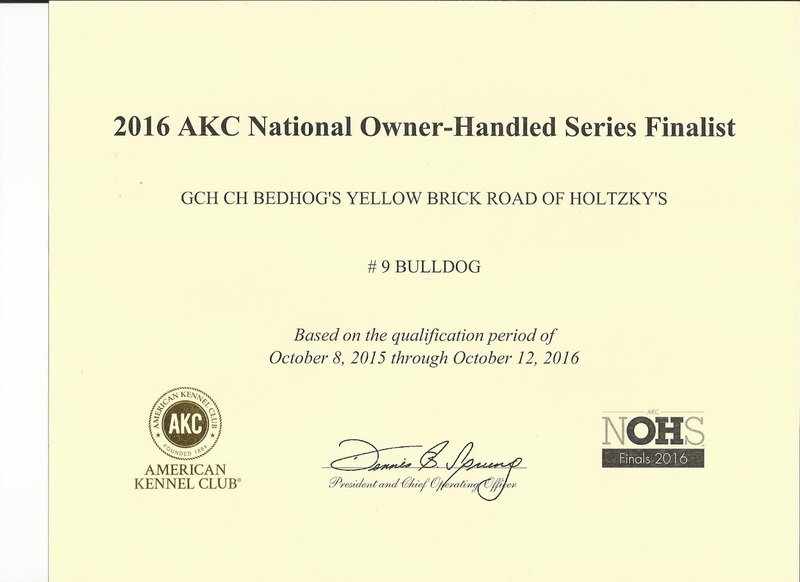 Brick was the # 9 Owner Handled Bulldog in the AKC National Owner Handled competition 2016.